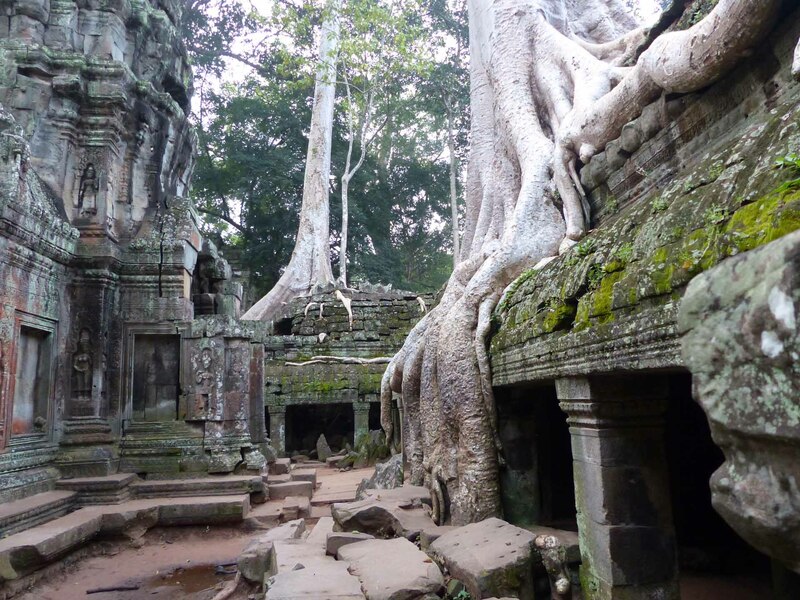 Lesley Greenhill travelled on the ‘Vietnam and Cambodia Uncovered’ tour and was kind enough to share some of her highlights. Lelsley has already talked about the food of Vietnam. 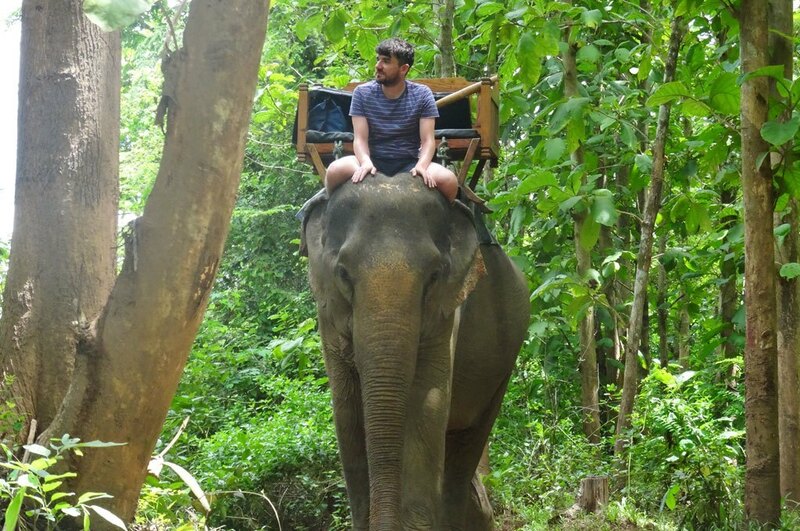 One of those highlights were the temples of Angkor…well, one inparticular. One of the things we were looking forward to on this trip was Angkor Wat. 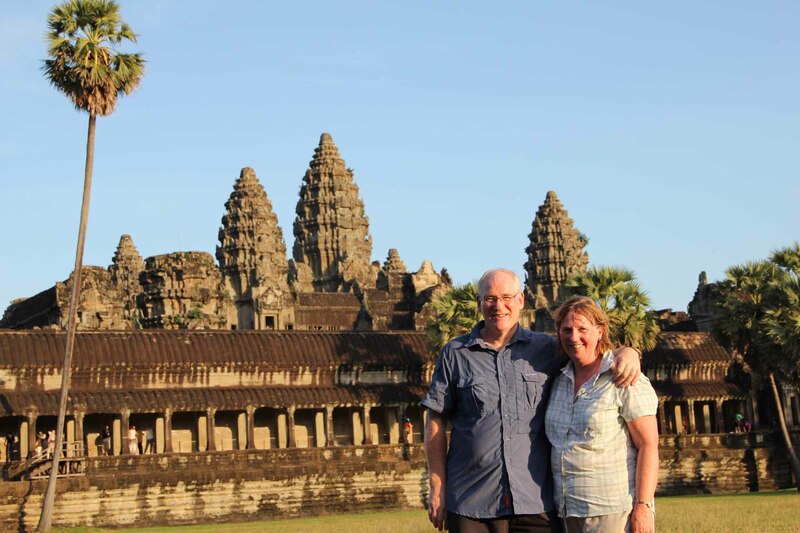 Soon after we arrived in Cambodia we visited Angkor Wat and were duly impressed. However it was Ta Promh that surprised me most. This is known as The Tomb Raider temple but, as I had not seen the film or played the computer game it meant nothing to me. 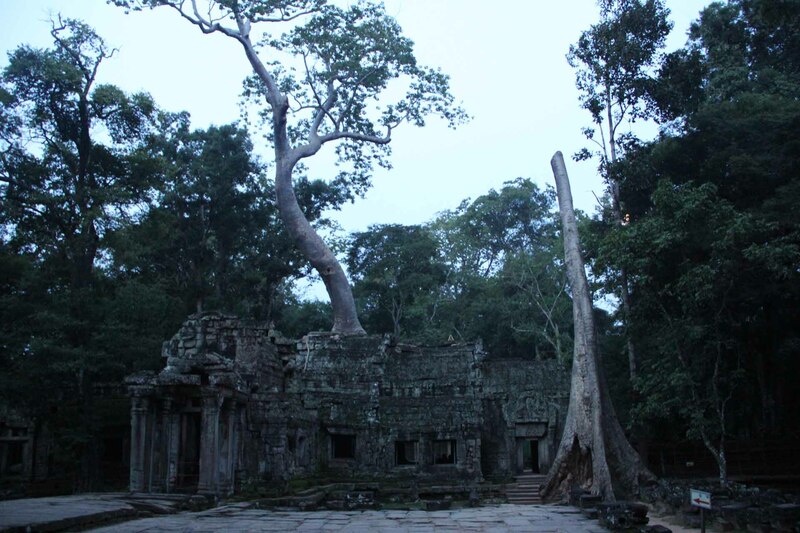 We got up in the dark to leave the hotel at 5.15 am and after a short drive, we arrived as the sun began to cast rays of light across this quiet temple in the Cambodian jungle. There was no one about. As the sun slowly rose a new sound filled the air.The cicadas were calling and all was still. Tiny parrots were flying around in the tops of the trees squawking at the dawn of a new day. The temple itself has been reclaimed by the jungle. Trees grow out of the walls high into the air. 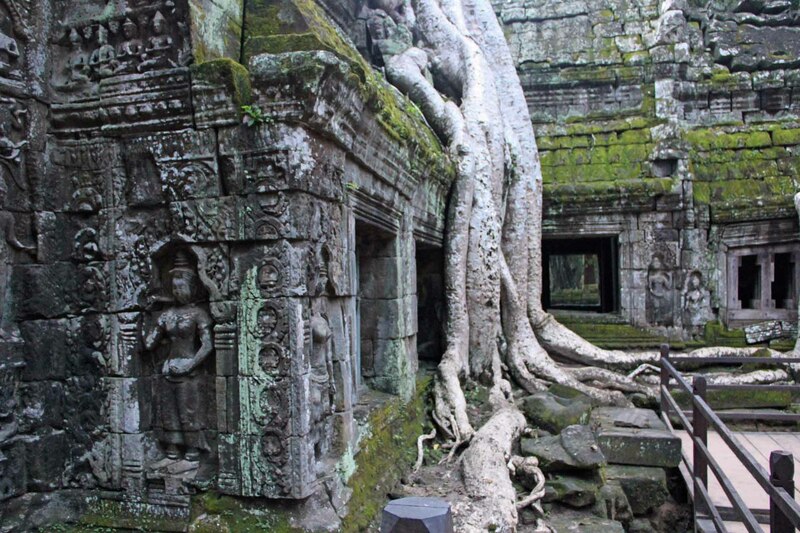 The heavy grey roots look as if they are also made of stone but they are living creatures twining themselves through the temple walls and now holding them up. As the sun rose, shadows slid along the temple walls, highlighting the detail of the carvings. I wondered about the people who had built this and all the other temples in the Angkor area. How come I knew nothing about this civilisation? And what happened to them? Sometimes when you travel you say ‘Wow’ and move on to the next thing and forget. But this temple left me wanting to know more about the people who built it and what their lives were like. 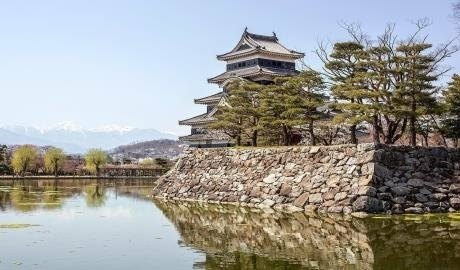 It was a mysterious and magical place. 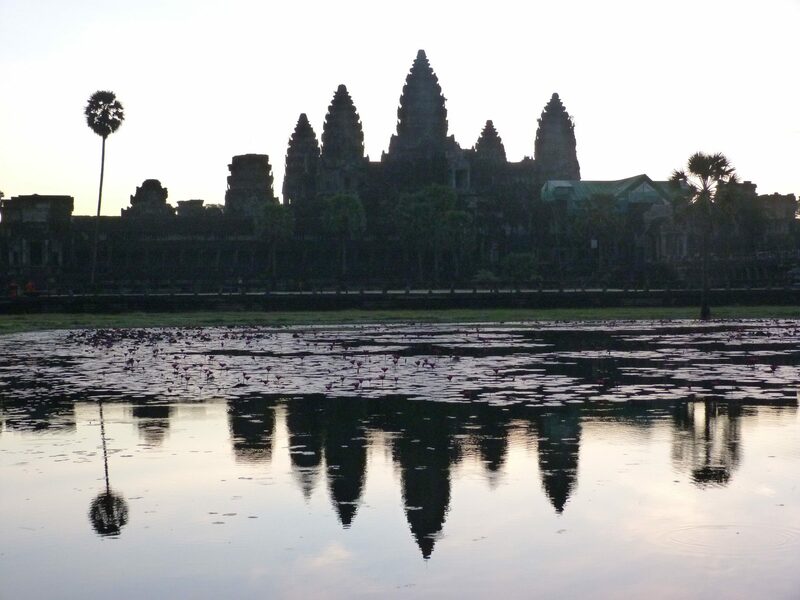 If Lesley has inspired you to visit Cambodia, why not join our next Vietnam & Cambodia Uncovered group tour? Click here for details & depatures.